Andrew Heming's Blog: Week 27 Nutrition Habit: Eggs Yea or Nay? Week 27 Nutrition Habit: Eggs Yea or Nay? If there was blogging back in the 80's no doubt people would be blogging about how bad eggs are for you. "Don't touch those yolks," people who have said, "they are loaded with cholesterol and the ultimate evil - saturated fat!" Some may have encouraged the fat-free high protein egg white, but most just pushed some more processed (but fortified) cereal on you claiming it is, "part of a complete breakfast". 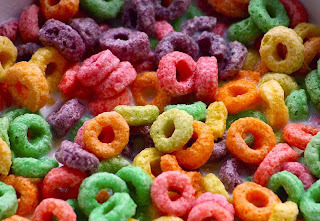 (Thanks to the marketing efforts of the cereal companies, you may have ate some processed cereal for breakfast this morning). So if we fast-forward 30 years until today. Where are we with eggs? What does the research say? Are they an important part of diet geared to maximizing health, performance and body composition? And, more importantly, are they right for you? In week 27 of our 52 Weeks to Better Nutrition and a New You series, let's look at some answers to these questions and help you develop a new habit. Eggs are on the list of foods that people commonly have allergies or intolerance to. "Higher consumption of eggs (up to one egg per day) is not associated with increased risk of coronary heart disease or stroke." Reference: Rong Y, et al. Egg consumption and risk of coronary heart disease and stroke: dose-response meta-analysis of prospective cohort studies. British Medical Journal. 2013 Jan 7;346:e8539. doi: 10.1136/bmj.e8539. As a teenager, I avoided eggs because of food intolerance issues. Later as an adult, I found that if I ate good quality eggs, I could eat then. Because they are a cheap, fast, easy-to-prepare source of protein, I started eating about 4 eggs per meal 4-5 mornings a week. What did this do to my cholesterol? I few years ago, I bought life insurance. I had the usual medical assessment and asked that the results be sent to our university's doctor. He emailed me and told me I had one of the lowest levels of LDL (that's the bad cholesterol) he had ever seen. Now, in saying that, I'm not recommending you eat eggs, but rather encouraging anyone choosing to eat eggs to find out for themselves how eggs effect their bodies. If you have been in a habit of just having cereal for breakfast you are hurting your health, performance and body composition. 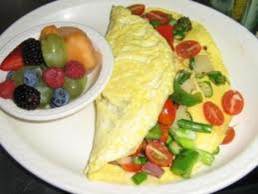 Consider eggs instead.One of my favorites is scrambled with chopped veggies (e.g. spinach, tomatoes, onions, garlic, etc). If you think you might have an intolerance to eggs, avoid them. If you want to be sure, talk to your doctor or appropriate health care provider about food intolerance testing. Many naturopath doctors do this. Always apply the 1-2 hour test. If you feel bad after eating them, then avoiding them - at least for a while. Remember to individualize your nutrition. 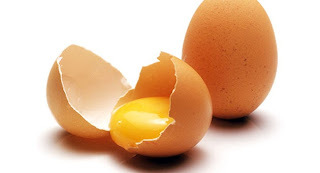 If eating eggs negatively effects your cholesterol levels, then avoid them. If you like eggs and your body does as well, then enjoy. If you like eggs, try not to eat them every day as this can increase the risk of developing an intolerance to eggs and thus preventing you from eating this super food. Try cooking in a variety of ways. It is time to make the switch! What exactly is considered "good quality" eggs? I have been having local, brown, free-run eggs lately but have no idea where they stack up compared to other types of eggs. Those sound great. The challenge with eggs is that terms such as "free-run" can be loosly interpreted. Does that mean always free or 15 min a day? In a store it is hard to tell the actual farming conditions. Some are concerned that with legal loop holes you may be paying more for eggs that is really not any different from the regular eggs. The best option when possible is to buy direct from a farmer so you can see the chickens' environment.